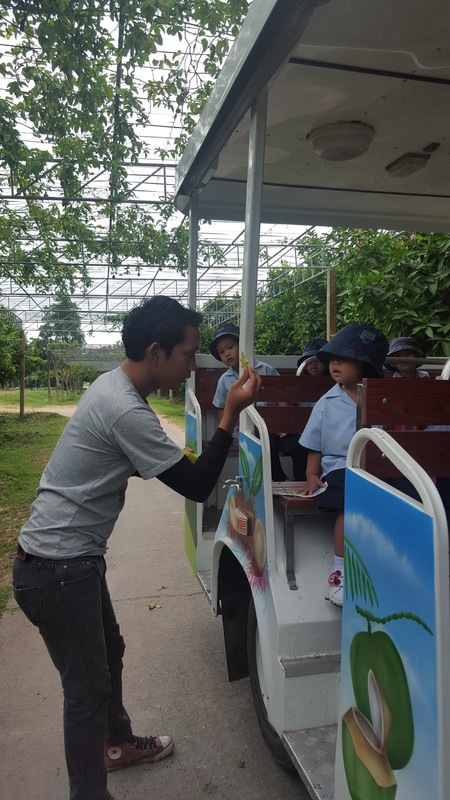 We headed out on the school buses on Wednesday morning heading for the Suphatraland Fruit Plantation. The children enjoyed looking at the passing sights, singing songs and eating their snack on the way there. 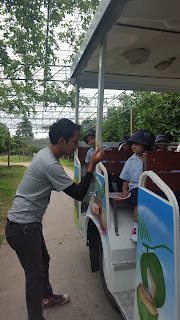 When we go there we paid for our tickets and got aboard a bus with a guide to take us around the plantation. 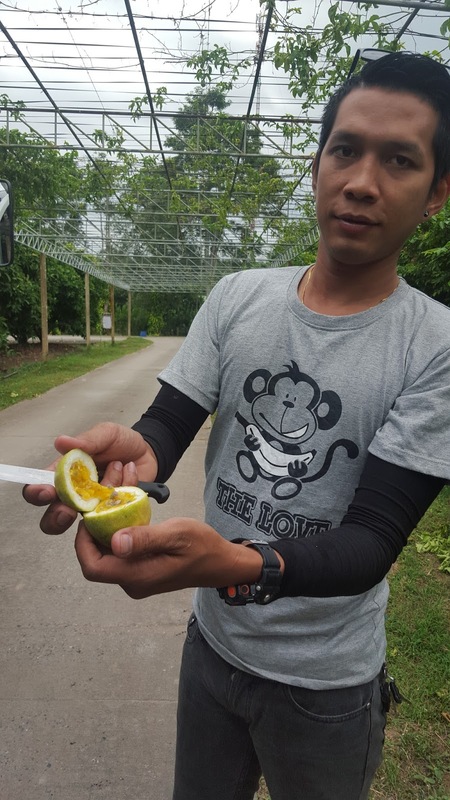 We drove around and the guide stopped to show us some of the fruit and what it looked like when he cut it open. 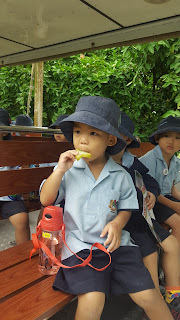 We were able to taste some of it. 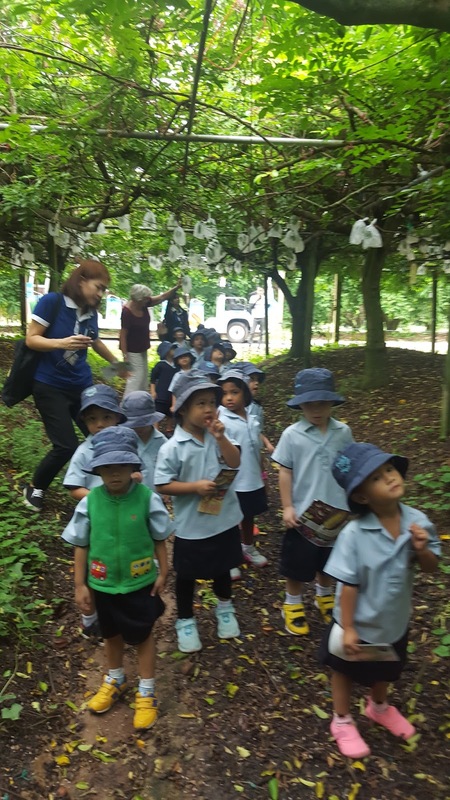 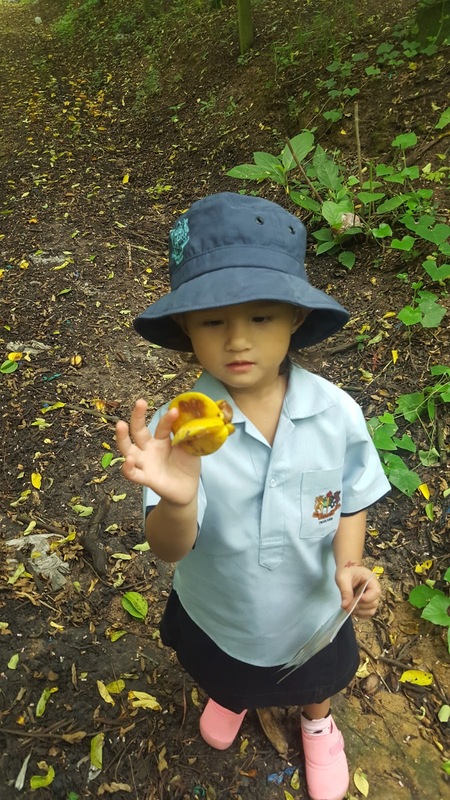 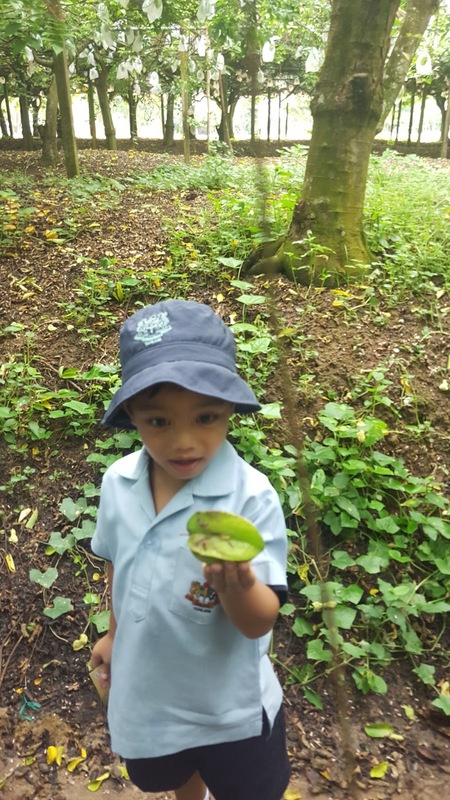 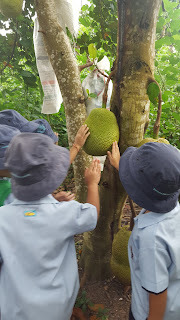 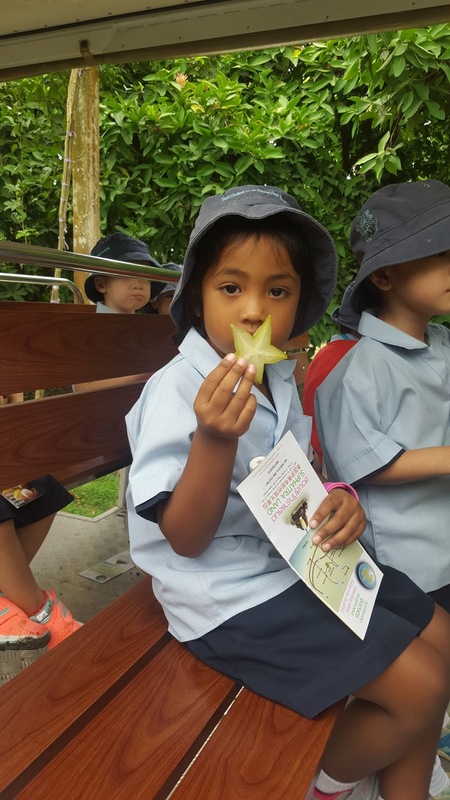 We drove on further and got off the bus to touch some of the fruit on the trees and go under them to see the fruit growing. We found some small starfruit on the ground. We went on further and the guide took us to a lovely place to taste a range of different fruits that grow at the plantation. 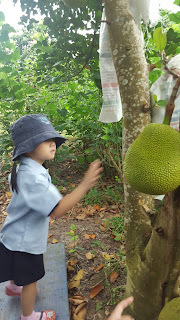 There was mango, bananas, pineapple, dragonfruit, jackfruit, papaya, guava and several others. 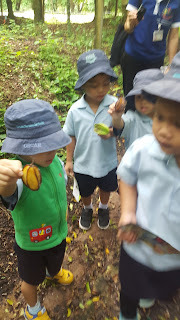 All the children tried something. 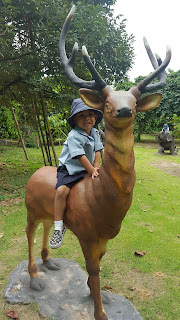 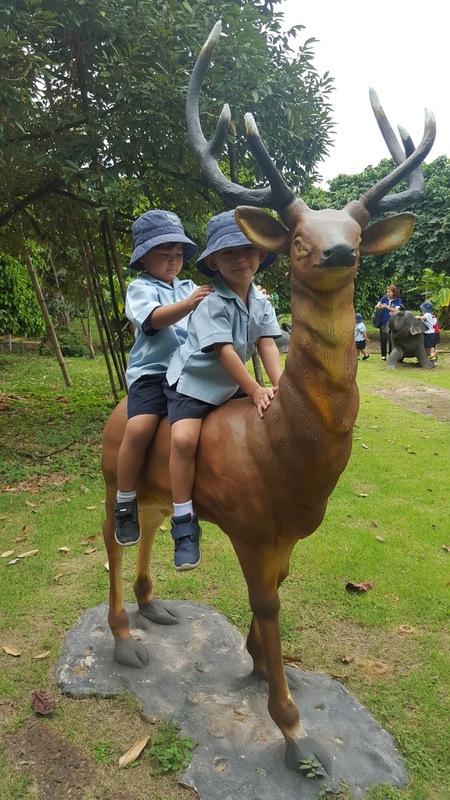 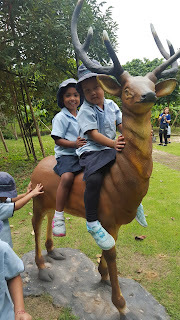 After that the children were so happy and excited to see a range of different animal statues to play on. They had a wonderful time. After that we headed off through more fruit trees and past rubber trees where our guide showed us how they get the rubber from the trees and what it looks like. 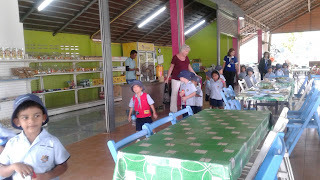 Off we went again to the restaurant there where they made special som tum for the children with no chilli or peanuts. The children and the teachers enjoyed the food and thanked the ladies at the restaurant. 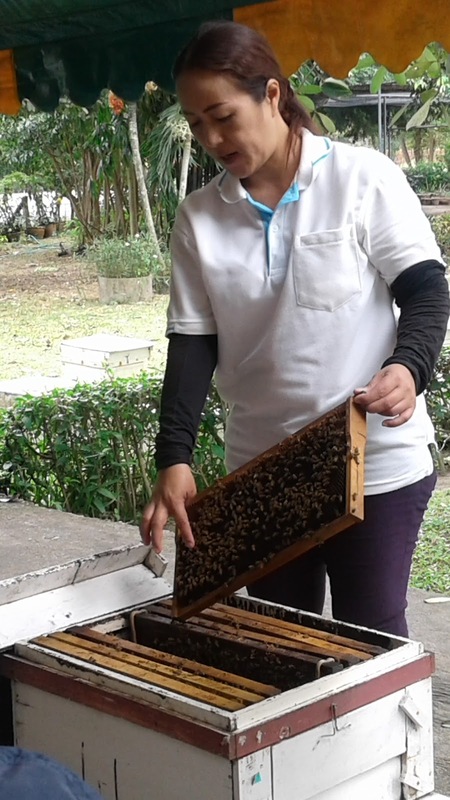 We were nearly finished with our trip but had one more place to visit, the bee keepers. The ladies very kindly let us taste the honey the bees had made and then we watched as the lady explained how the hive works. 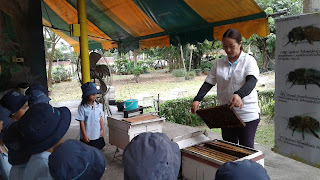 What a lovely experience for the children to revisit what we had learned about bees in the first half term. 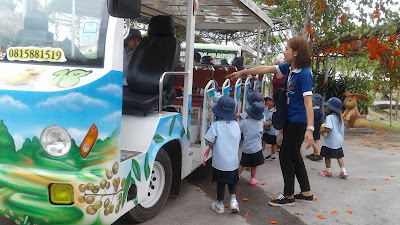 Then our visit was finished and we got back on the bus after thanking the people and returned to GIS. Many thanks to our GIS bus drivers who take such good care of us.